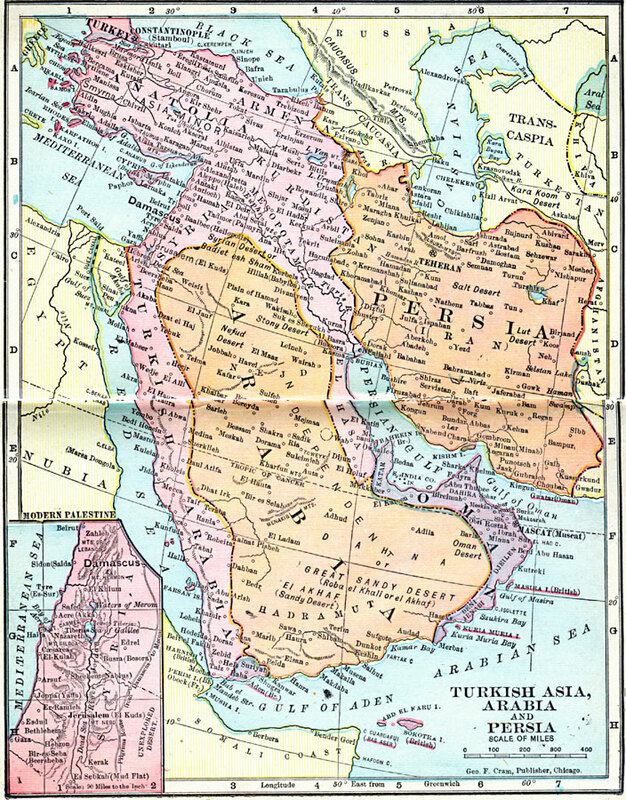 Description: A map from 1906 of Asia Minor and the Arabian Peninsula, showing the extent of the Turkish Ottoman Empire and Persia at the time. The map shows Oman and the British possession of Aden on the Arabian Peninsula, and the frontiers of the Russian Empire, Afghanistan, Egypt, Nubia, and the Somali coast. The map shows capitals and major cities, railways, the Suez Canal, rivers, and coastal features. An inset map details the Palestine region under Ottoman control.